As the catalyst for vibrant, connected communities where diverse perspectives are valued, last week the Leadership Jacksonville class of 2018 participated in an Education Day to enrich their knowledge of the city’s public school system. The 56 classmates spent a day making site visits to provide classmates a first hand view of the inner workings of Duval County Public Schools. Their tour included Ed White and Raines High Schools. Classmates were eager to visit the ‘C’ rated schools up close to gain a perspective on the current educational climate within the school district. The group visited with the staff and witnessed classroom behaviors and teacher instruction. As they entered the Ed White Military Academy of Leadership, classmates were saluted and escorted to the library for an informational and debriefing session. The military and leadership magnet school offers course progression plans tailored to individual student interest and goals. Students have the option to earn industry certifications in the IT Business Leadership Program, college credits through Embry Riddle Aeronautical University, or earn college credits to work toward an AS Degree in Cyber Security through FSCJ. 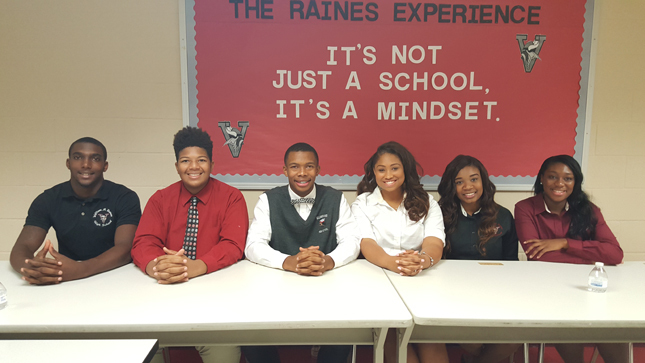 Highlighting the tour was Raines Highs School, where the motto is: It’s not just a school, it’s a mindset” Before entering the school many of the classmates admittedly had their doubts about the schools academic excellence and visual appearance. Their premonitions were quickly dispelled when they were immediately directed to a small conference room upon their entrance where they each received a “Raines” gift bag. . At the head of the table, were the schools scholars, who shared the positive aspects of their highs school while impressing visitors with eloquence. When given an opportunity for questions, the Leadership Jacksonville classmates were so in awe that few had any and shared they were surprised of the cleanliness of the school that was void metal detectors and visiting the classrooms was a total eye opener. Even though Raines boast 80% African American attendance, LJ classmates, were surprised to learn that according to DCPS website, during the 2015-16 school years, Raines demonstrated academic growth in every state-tested content area. 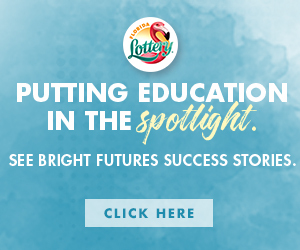 Raines continues to increase the percentage of students who were college ready in reading and math, as well as the percentage of students who received certifications from our career and technical programs. Approximately 90% of Raines seniors were enrolled and passed at least one college course, and 93% of its seniors graduated with a high school diploma. As a result of these accomplishments, Raines has earned a state grade of “C”. William Marion Raines opened its doors in 1965 as a result of “separate but equal” in Jacksonville for Black students. Ahead of its time, it was a state of the art institution designed to inspire excellence in and out of the classroom. The school was named in honor of William Marion Raines, a prominent black educator in Jacksonville and principal at Matthew Gilbert High school from 1938 until his death in 1950. Shown l- r are Raines students: Diop Kee (Mr Raines, 2nd Runner Up), Joseph Smith (Mr. Raines, 1st Runner Up), Trevon Laidler (Mr. Raines), Diamond Boston (Miss Raines), Asia Mitchell ( Miss Raines, 1st Runner Up) and Doneisha Solomon (Miss Raines 2nd Runner Up).